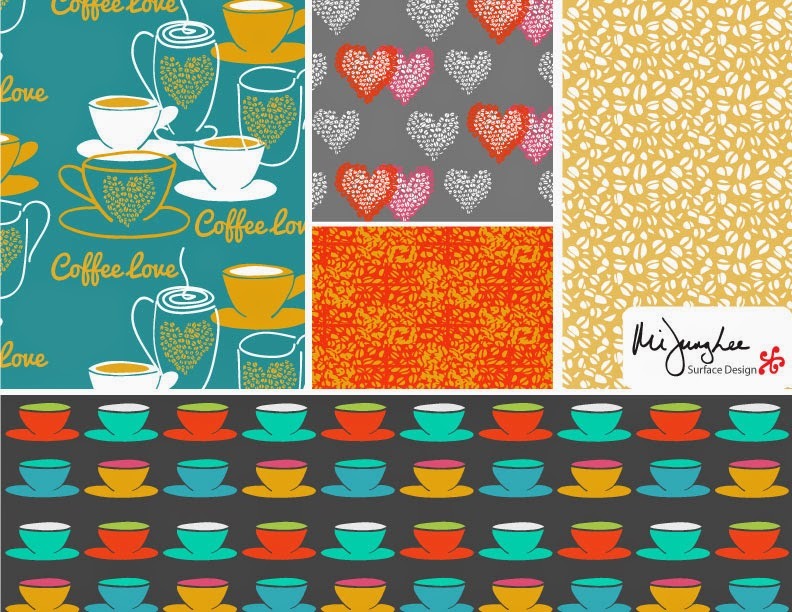 Creating new designs can make me feel like I'm making progress but sometimes looking back and reworking old ones helps me to see what I've learned. 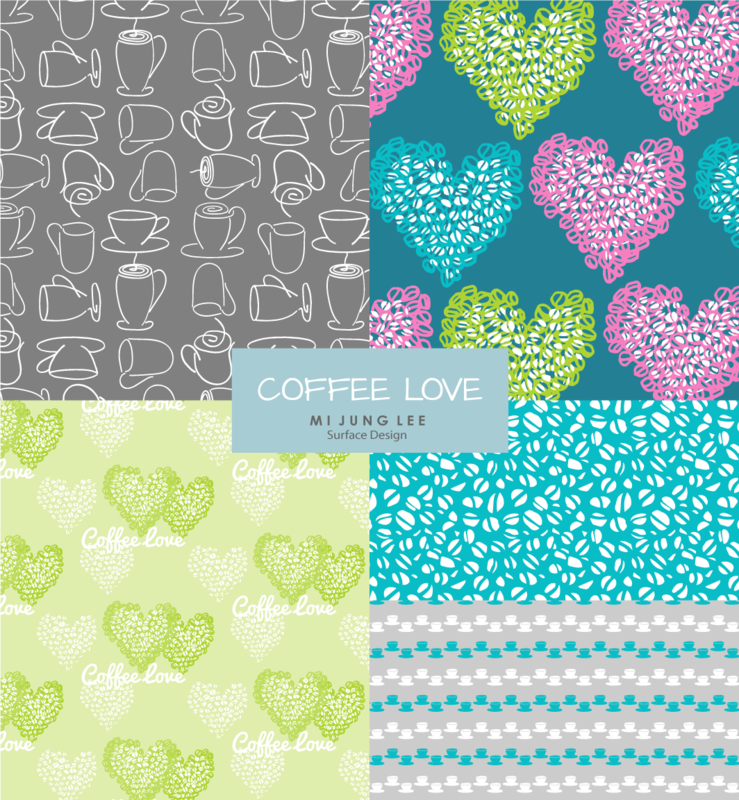 In this case for Coffee Love, I've chosen colors that work together better, varied the scale of each design and simplified the mug motif into a new pattern. The previous version is below. I think I've made progress with the new one!